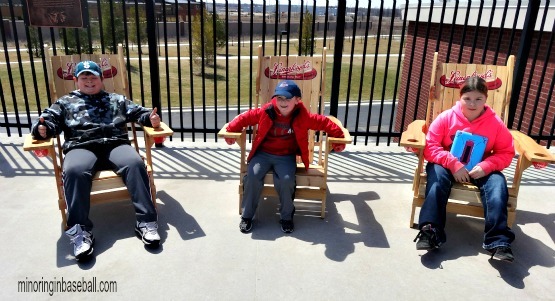 Midland, MI-July 2-3: The first two game of the series were played at Dow Diamond. 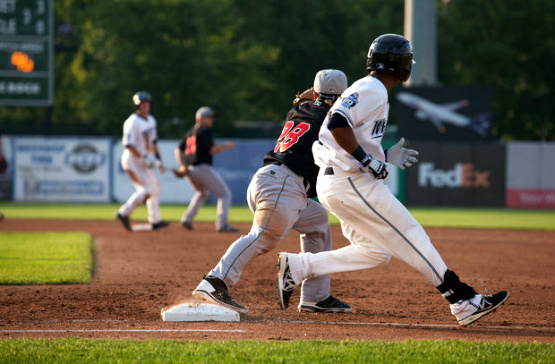 In game one, ‘Cap second baseman Harold Castro’s ninth inning home run broke West Michigan’s losing streak with a 4-3 win. He was 2-4 in the game, while Zach Kirksey was 2-3. 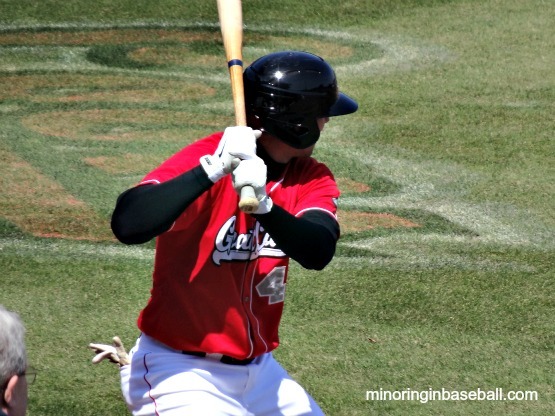 For the Loons, Aaron Miller hit a home run of his own in the sixth inning, to tie the game at three. He was 2-4 on the night, also, while third baseman Leo Rodriguez went 3-4. On the mound, Angel Nesbitt earned the win to improve to 3-1, while Corey Knebel got the save. Arismendy Ozoria took the loss for the Loons. 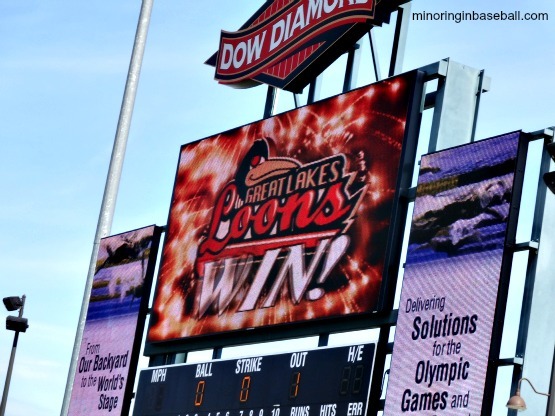 Great Lakes would take conrol the next night, however, pounding the Whitecaps 8-0. 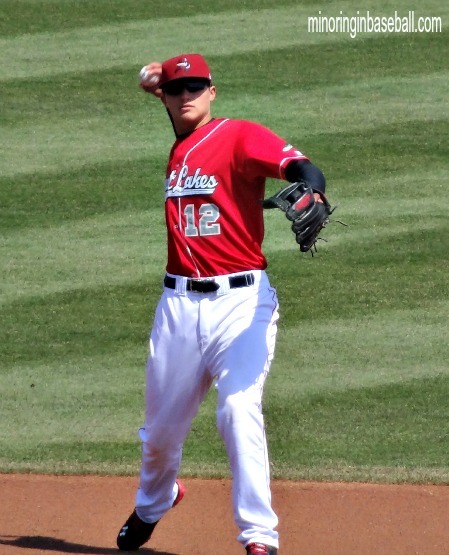 Shortstop Corey Seager went 2-3 with four RBI’s to lead the Loons offensively. Rodriguez and Miller each went 2-4, also. 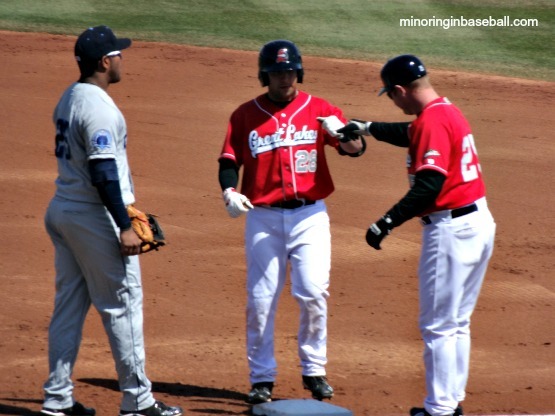 The Whitecaps only managed four hits during the game, with 16-yr-old Julio Urias getting the win. He pitched six shut-out innings while striking out eight. Endrys Briceno took the loss for the ‘Caps, giving up four earned runs in three innings of work. 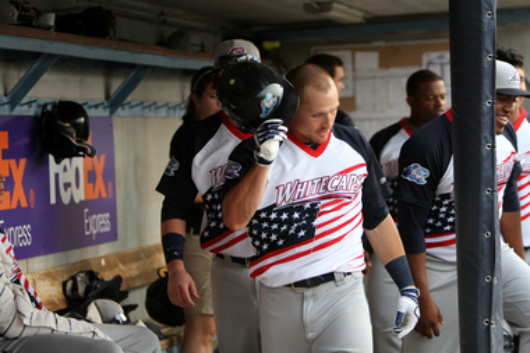 Comstock Park, MI-July 4-5: Both teams would re-unite at Fifth-Third Ballpark on Independence Day! 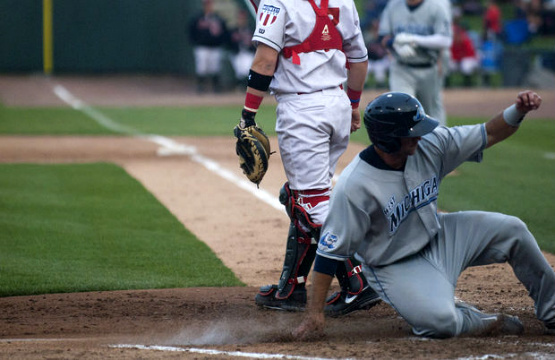 The Whitecaps continued their defensive woes, however, and fell to the Loons 7-5. 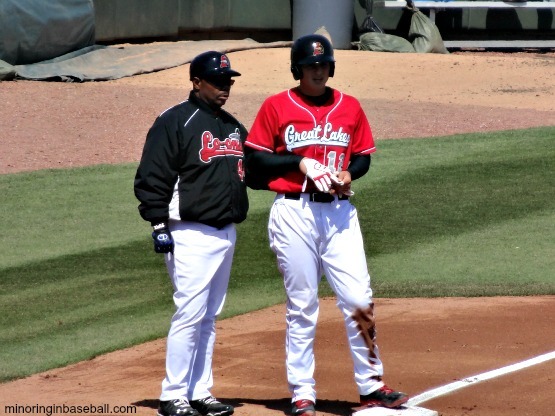 They committed two errors and one miscue that led to two Loons’ runs. 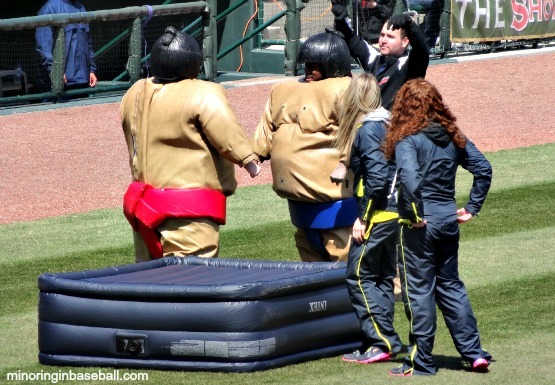 Three of the Loons runs were unearned in the game. Left-fielder Robbie Garvey had a nice game for Great Lakes, though, going 2-4 with two runs scored and an RBI. 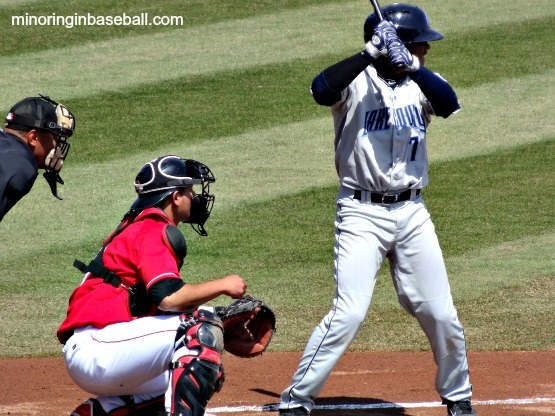 For the Whitecaps, Jason King went 2-2, with two runs scored, and RBI, and two walks. On the mound for West Michigan, Chad Smith started the game, but Yorfrand Lopez took the loss, giving up three runs in just over three innings. 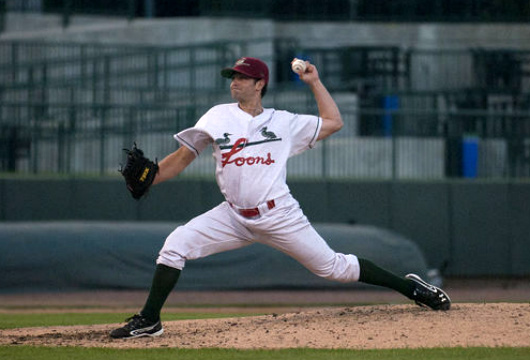 Geoff Brown earned the win for the Loons, pitching five innings giving up one earned run and striking out five. In the final game of the series, the Loons would take a 2-0 lead early, but watched the ‘Caps roll off seven in a row. Zach Kirskey lead the offensive charge for the ‘Caps, going 1-3 with a home run, two runs scored, and three RBI’s. Helping out was Danry Vasquez, going 2-3 with a double and two RBI’s, and Jason King who went 2-3 with a home run, two runs scored, and an RBI. Malcolm Holland delivered a solid game for Great Lakes, going 2-3 with an RBI and two walks. For the ‘Caps, Charlie Gillies won his first game of the season in the 7-2 win. Arismendy Ozoria took the loss, giving up six runs in two innings. It was a good series for both teams, especially West Michigan, who has been struggling as of late. 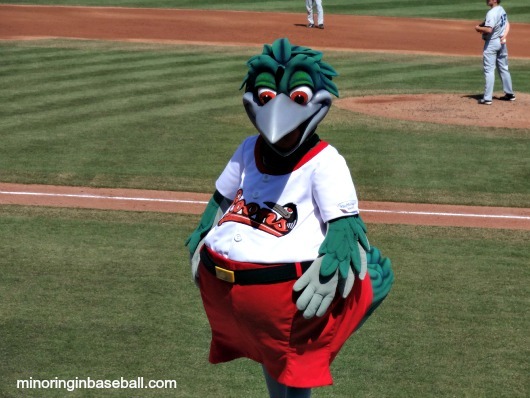 The Loons are in first place of the Midwest League East. No rain, is our gain! 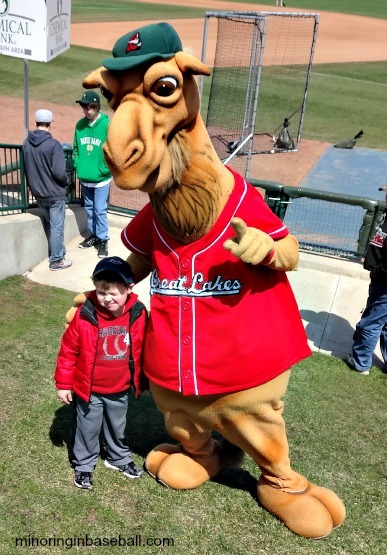 Great Lakes Loons vs. Lake County Captains (Midwest League) Dow Diamond-Midland, Michigan: Despite having plans to attempt another Lugnuts game in Lansing, the weather report prompted the kids and I to head south over the weekend a little early to avoid the storms. Our journey took us to Midland, Michigan to attend a pair of Great Lakes Loons games, and I’m pretty sure we made the right choice! 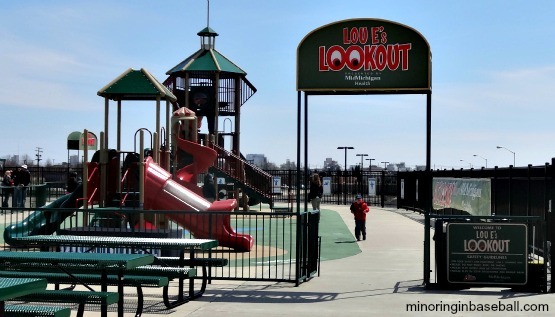 The weather was a little cool, but with not rain and sunny skies, it was fine for us. After the rain-outs earlier this month, is was just nice to watch baseball and get these first games in. The kids were happy that their Papa was able to make it over to the game, too. 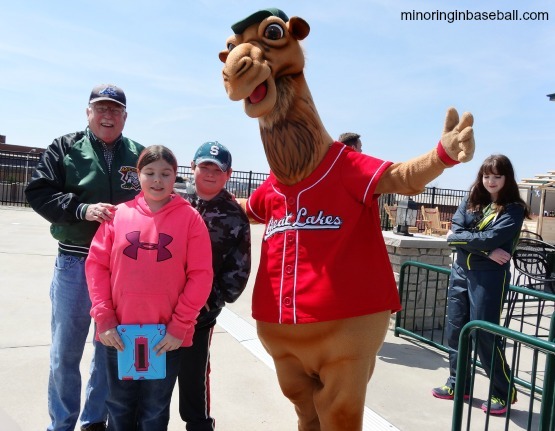 Brian headed right for Lou E. Lookout (playground) and the mascots Rall E. Camel and Lou E. Loon entertained the kids throughout the game. It was a fun game to watch, and good to get the first one in for the kids and I. The game itself was a solid pitchers duel, with the score 0-0 going into the seventh inning, with Jharel Cotton getting the start for the Loons against the Lake County Captains. 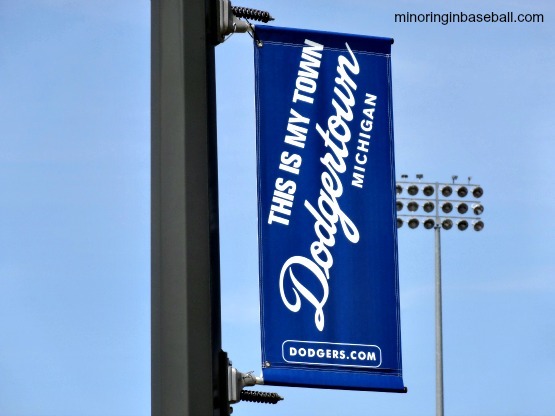 The seventh inning started off good for Great Lakes, as top prospect Corey Seager shot a single to right field. He then advanced to second on a nice bunt by Pat Stover. Outfielder Jeremy Rathjen then scorched a single to score Seager and give the Loons the walk-off victory! A great way to start the season for us, and a nice win for the home team.